Flaw in design for repeated usage. The problem with it is that it is too flimsy for repeated onoff removals of the light for recharging it or to not use the light during the daylight hours. If you look at the thin peices of plastic that operate the quick release, you can tell this product wasn't meant to last for very long. For me about half a dozen uses max before the tab portion broke off. Great addition to a great light! Great add on to a Lumina light (Mine is the 750). Helmet mount puts the light where ever you look eliminating frustrating shadows and dark which can be a little intimidating in the woods. Awesome! The niterider lumina helmet mount works great. I use the niterider lumina helmet mount when riding in the dark. 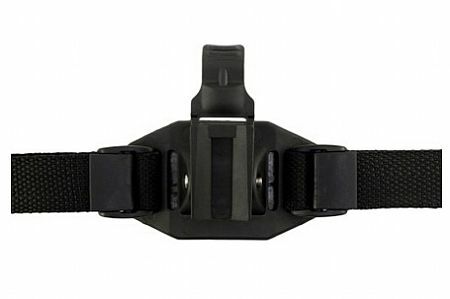 It gives you great visibility and enables you to look all around you. Used helmet mount with a Nite Rider light. Held it in place. No issues with product. Fit my helmet, works great with the light!